Travel is fun especially when you are not sure what to expect when you get there. Going with the flow is a great way to see new places and experience something new. But, if you opt to travel this way, you need to be careful about how you pack. You need to be organised, especially if you like to travel light and only take cabin luggage with you. To help you with this we have put together the following packing pointers. The first tip is to take an organised approach. If you are packing light, you really should make a list. This is the best way to make sure that you do not forget anything important and ensure that you do not waste space by taking things you really do not need. Go through your list and lay it all out on the bed next to the piece of luggage you are planning to take with you. Once everything is there, you can pack everything. It is important to do this at least two days before you are due to travel. Doing this gives you the chance to make sure that everything fits into your backpack, bag or case. 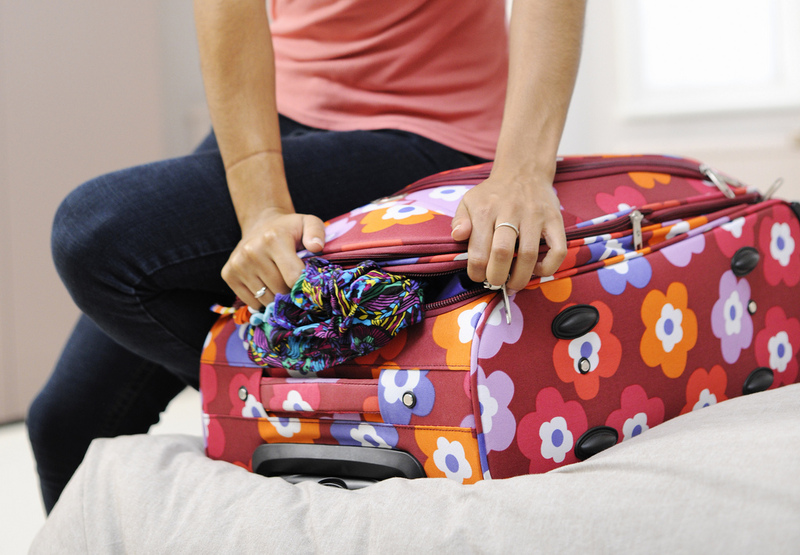 Packing in advance gives you the chance to make adjustments, and book yourself some hold luggage should you need to. Start by putting the heavier, thicker items into your bag. The trick is to leave the smaller, softer, more flexible things until last. That way you can slot them into any little spaces that are left. When you are packing light, the trick is to fill the cube completely, so little tricks such as packing your socks between other items makes a huge difference. If there is any possibility for you to take part in some sort of watersports, you will want to have some good quality swimwear to wear. The best approach is to pack something like these swim shorts. They do not take up much space. Plus, they can be worn during the day as shorts. You should also pack a pair of light jogging bottoms and at least one t-shirt, so you can hit the gym or go running while you are away. It is always a good idea to pack some comfortable walking or running shoes. That way you can go hiking or riding, should the opportunity to do so arise. They will take up a fair amount of space, so if you can try to wear them while you are travelling. When deciding what to take with you try to choose items of clothing that are easy to mix and match. If you pack wisely, you only need to take a couple of pairs of trousers, a few t-shirts, some swim shorts, a pair of joggers and a smart shirt have enough clothes to wear during your annual break.